The small French-speaking West African nation of Benin was first labeled in 1990 ‘the lab of African democracy,’ then later referred to as ‘the flagship of democracy in Africa.’ But this democracy goes through so many deep crises one wonders if such praises are well deserved. But then, the Beninese people and political elite work things out in a magical way, and their democracy amazingly survives the crises. One of several shortcomings of Benin’s democracy is the weakness of the country’s political parties. They total 259, which translates to one party for every 42,471 of the 11 million Beninese citizens, or one party per 432 square kilometers. Party affiliation is a rather murky notion here, with money being an important motivating factor. But all that came to an end during the tenure of the country’s current president, Patrice Talon, with the passage in September 2018 of a new law governing political parties, which now have to merge into a small number of larger entities. The so-called “chart of political parties” also came with new requirements to run for office, notably for legislative and local elections. 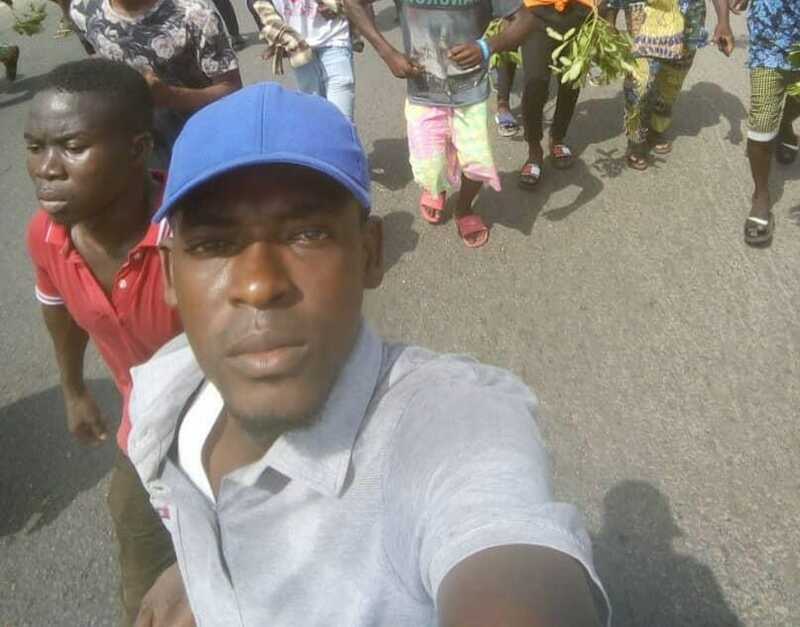 The new law, which provides for the equivalent of whopping $500,000 registration fee—unheard of anywhere in Africa, indeed in impoverished Benin—and other stringent requirements, was greeted with outright rage by the opposition parties. They denounced what, to them, is the result of a collusive effort by the speaker of the parliament, the president’s majority in parliament, and the head of state himself. But the grumblings later died out, and preparations got underway for the next legislative elections scheduled on 28 April 2019. Then, only days before the deadline to register to contest the elections, the Constitutional Court, chaired by the president’s former personal lawyer, required a so-called “certificate of conformity” attesting that the parties have actually met the new requirements, which was not part of the law. It turned out only the two blocks of parties that support the Talon regime received the said certificate. The outraged leaders of the opposition parties pointed an accusatory finger at the minister of interior and security, Saca Lafia (responsible for reviewing their applications) for holding their applications until the last minute before notifying them of faults in their applications, thereby not giving them enough time to make corrections and re-submit before the deadline. Prior to that, in late February, a delegation of officials of the Economic Community of West African States (ECOWAS) arrived in Benin to meet with the officials across the political spectrum to discuss ways to avert the looming electoral drama. At the time of this writing, a U.N. mission is in the country for the same purpose. President Talon’s invitation in late February to meet with all the political parties was turned down by most of the opposition, with the exception of only three. Rather tense, the gathering led nowhere. Talon sounded eager to find a way out of the crisis, but many doubted his sincerity, saying he wanted to dominate the parliament to change the constitution to stay in power beyond his legal term. Another invitation extended by the president was turned down by all. Yet, on 6 March, Talon instructed the speaker of the parliament to look for a consensus to end the crisis and make it possible for the elections to be contested by all the parties. Ideas flowed from left and right. The speaker and representatives of all the parties, including those close to the president, sat at the same table and went down to work. The various proposals include a constitutional amendment, and legislation to modify the new law about the parties. At the same time, a delegation of the civil society is conducting separate talks with the party leaders. 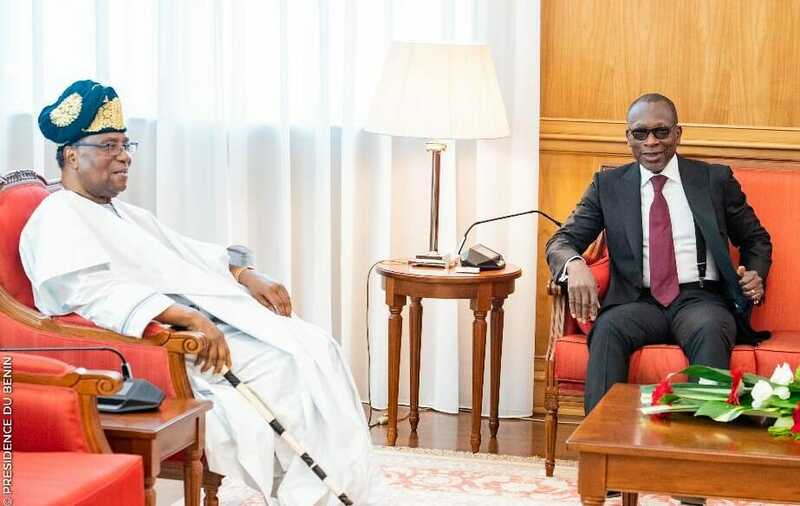 Former Beninese president Nicephore Soglo, left, with current president Patrice Talon in a tete-a-tete meeting at the presidential palace on 20 March. 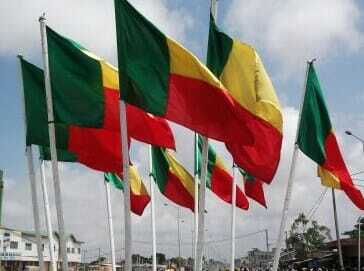 The media in Benin is weak and very partisan, with most of the newspapers favoring Talon’s regime in their reporting. But one local television channel that can be tuned in on the Internet, tvc, has hosted several debates on the crisis with guests from both sides of the crisis. These debates and reporting by international news sources such as Paris-based Africa 24 tv have sounded the alarm about Talon’s responsibility in an unprecedented development that would tarnish Benin’s reputation on the world stage. They single out the sudden emergence of the “certificate of conformity” requirement. At the same time, the media denounces some of the opposition parties’ inclination to deepen the crisis rather than ending it and contest the elections, acting like all-show-no go. Case in point: the abrupt withdrawal, Thursday, of the FCBE and the RE parties from the talks, on the ground that the format of the talks is inappropriate, and that the speaker is unfit, in their view, to lead the talks. As if to prove his critics wrong, President Talon on 20 March met with former President Nicephore Soglo at the presidential palace in yet another attempt to forge a way out. The following day, Soglo revealed details of his tete-a-tete with Talon. At the time of this writing on Friday, the crisis is not over. The speaker of the parliament only on Friday turned in his findings to the parliament’s commission on laws. Disagreement still seems very strong between the opposition parties and those close to the president, with some (on both sides) refusing to attend some of the planned meetings. But the tension is expected to cool off. Benin is poised to survive probably its worst political crisis ever.